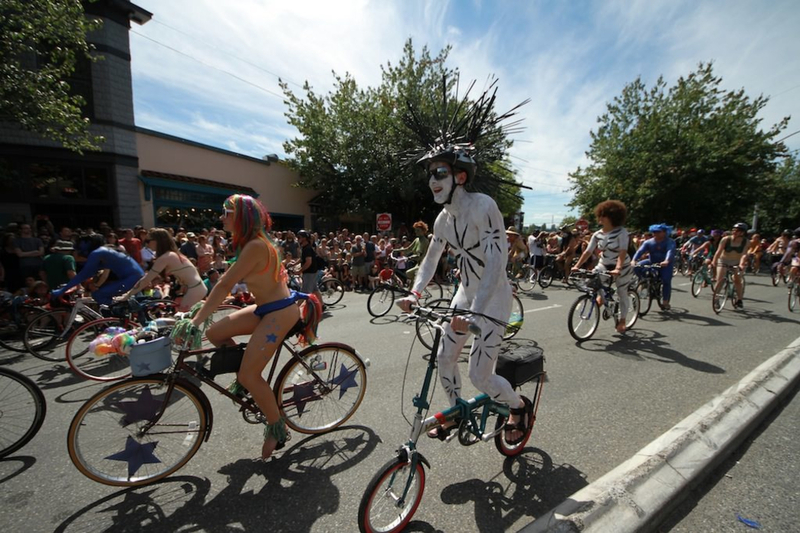 Celebrating the return of the sun and the longest day of the year, the 43rd annual Fremont Solstice Fair is back, featuring the Solstice Parade, Craft Market and Concert Series beginning June 20 and running through the weekend. 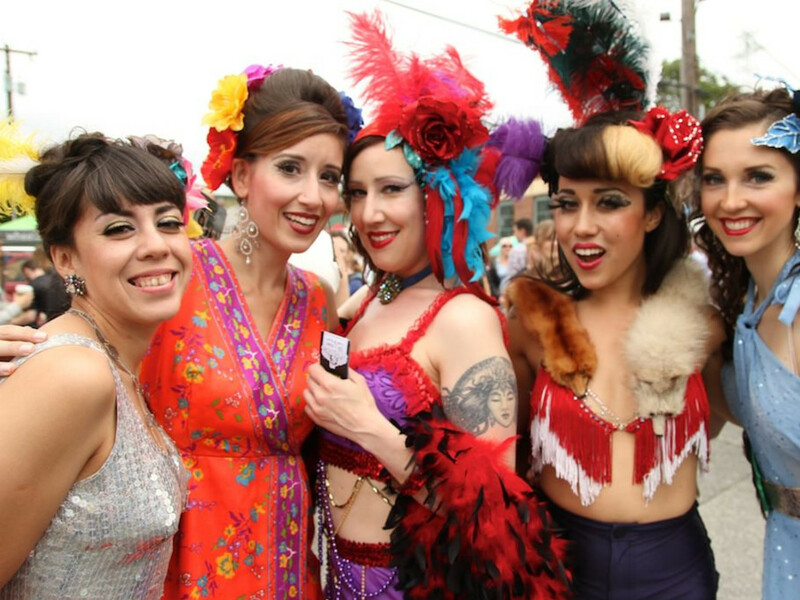 The Fremont Fair is a flamboyant expression of the neighborhood’s artsy, free spirited personality. 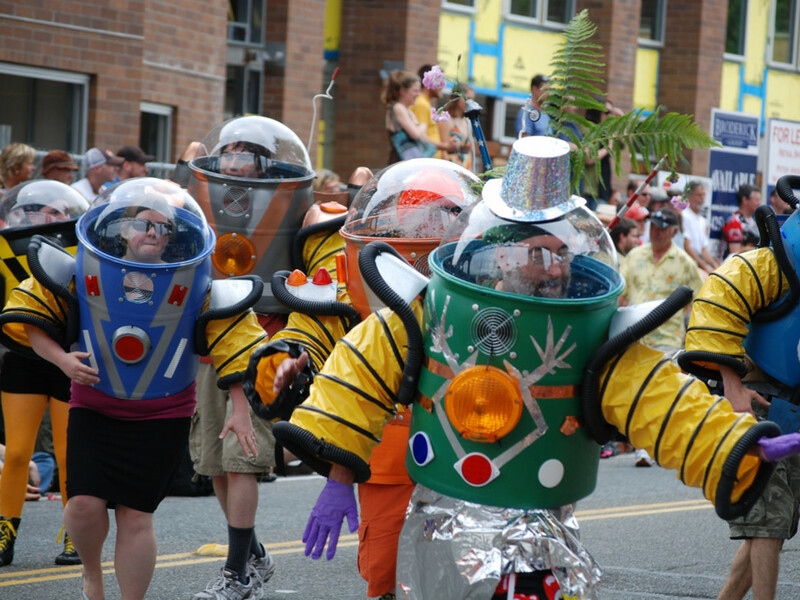 Created and produced by the Fremont Arts Council , the ultra quirky [Solstice Parade](www.fremontfair.org:entertainment.html#solsticeparade) begins at 3pm on Saturday, at 36 th and Leary, ending at Gasworks Park where there will be food and beverages, arts and crafts and music. 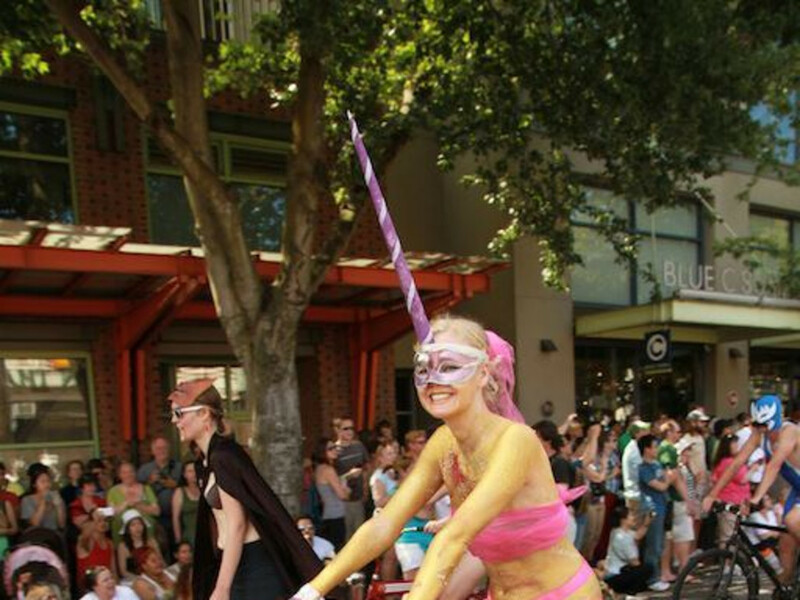 Famous for colorfully painted naked cyclists that begin the procession, the parade is an artistic visual expression and celebration of Fremont’s delibertas quirkas —freedom to be peculiar. Floats, stilt-walkers, wig and wing-wearing nudes and giant puppets roll by with a sense of humor and abandon. You can watch the parade all along 36 th street, but be sure to arrive early, a lot of people set up chairs and blankets. Singing lobsters and cars with dentures are featured in the Art Car Blow Out Saturday and Sunday as part of a whacky display of auto-art. The inaugural concert series beginning at 5:30 pm on Friday and Saturday on the Redhook Main Stage includes Seattle’s Blue Scholars and indie band Built to Spill. Three different beer gardens offer the chance to toast the solstice and the Fremont Fair Craft Market , with over 300 venders will be open all weekend. For families, they’ll have art activities for kids and a giant purple slide. Dogs decked out in sunglasses, tutus and hats make their entrance on Sunday at the Dog Parade. Animals are not allowed on Saturday at all, so there is a canine version of the Solstice Parade on Sunday. Yoga for the Solstice will be held Sunday at 10:30 to get your sun salutations on. Parking is hard to find, so if you can arrive by bike, bus or on foot, you’ll have an easier time of it. You can take the Burke Gilman Trail and use the bike corrals along the park at 1st Ave NW and Canal Street. Proceeds from the Fremont Fair support local arts and the Freemont Chamber of Commerce. Find out more on the Fremont Fair Website.